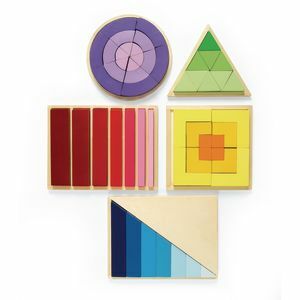 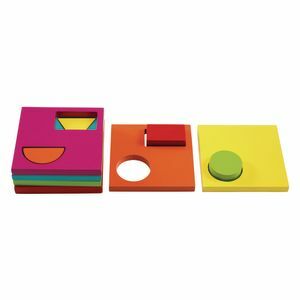 Our new, exclusive puzzles teach children size, shape and color recognition. 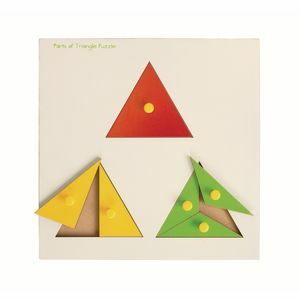 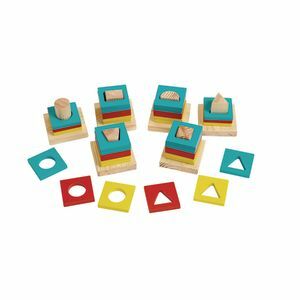 Each puzzle features one of the following shapes in 5 different sizes: diamond, square, oval, triangle, circle and square. 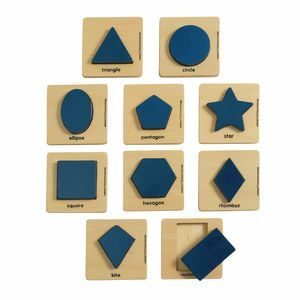 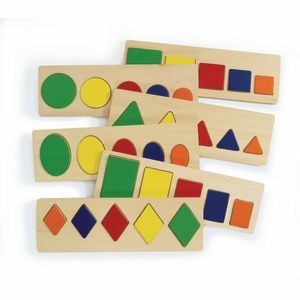 Each wooden puzzle measures 4"L x 12 1/2"W. PreK-K Core Standards MAT (P) Begin to correctly name shapes.